Trailheads will be taking a little break for Christmas and New Year's, so this post is early (Happy Festivus) and will have to do two posts' worth of "work." Whatever you may be celebrating, wherever you may be traveling, whoever you may be spending the next week with - I hope that your world is filled with good things. Thank you for reading this blog and for supporting PHMC's Trails of History. Cheers to the New Year! Here's hoping that 2016 brings more peace, more light, more joy. The December program listings are still up so that you can see what there is to do this coming week, and the January listings are available if you want to plan ahead. Please note that many sites will close early tomorrow (Dec. 24) and Dec. 31, and that operating schedules will change for a number of sites in January. Always be sure to check ahead to be sure the site you want to visit will be open when you plan to be there. Last I checked, there were a limited number of Patriot's Passes available for Friday's reenactment of George Washington and his troops crossing the Delaware River on Christmas Night 1776. The event is free to the public, but a Patriot's Pass ($25 per person) gets you a prime viewing spot and adult beverages. The model train layout that staff from the Railroad Museum of Pennsylvania set up at the Governor's Residence was featured in a Lancaster Online article, which also includes some advice for those of you who want to set up your own layout (still time for this year). 2016 will mark the 100th Pennsylvania Farm Show (Jan. 9-16) and PHMC will be on hand to help mark the occasion. The State Museum Archaeology program, in cooperation with the Society for Pennsylvania Archaeology and the Pennsylvania Archaeological Council, will have an exhibit on the development of agriculture in Pennsylvania. 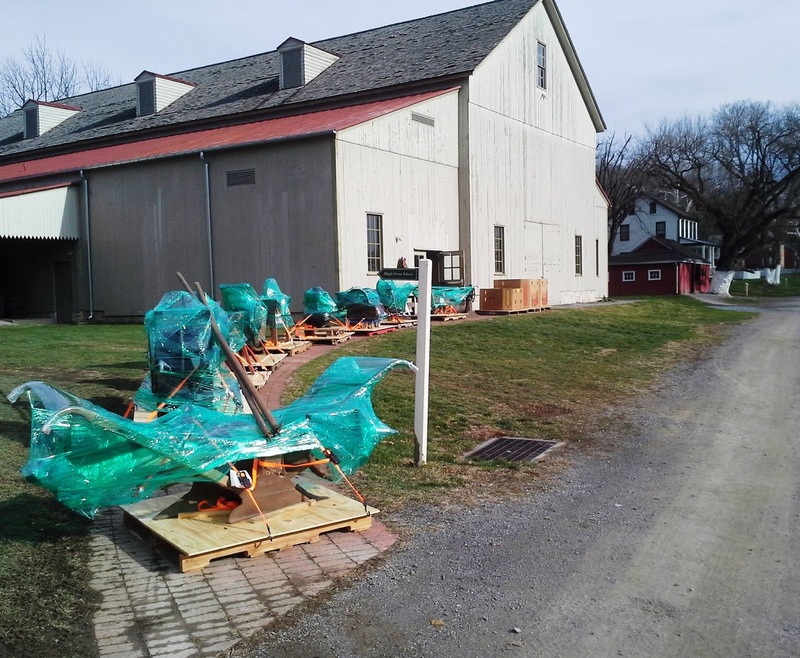 Folks from Landis Valley Village and Farm Museum will display, among other things, a Conestoga Wagon and a selection of farm machinery models designed by Lancaster County inventor William Chester Ruth. Please visit the December program page for info on events taking place this weekend and through the end of the month/year. The State Museum of PA has announced that entries are now being accepted for the 2016 Art of State Exhibit. This is the 49th annual show, and entries are welcome from Pennsylvania artists and craftspeople. Deadline for submission is Feb. 29, 2016 (yep, 2016 is a Leap Year, folks). The Winter Wonderland Photo Contest at Eckley Miners' Village is underway and will run through the winter (rules and entry form). Photos may be submitted at any time between now and March 1, 2016. Artists and craftspeople in the Berks County area might want to check out the page for the new Artisans in the Park event at Conrad Weiser Homestead. The event is scheduled for April 30, 2016, but they are recruiting now for people to participate; the event will also feature food and wine. The first crossing of the Delaware event for 2016 was on Sunday (photos posted on Facebook), but the annual Christmas Day event at Washington Crossing Historic Park is still to come. The weather forecast is significantly warmer and clearer than the sleet and snow General Washington and his Continental Army experienced in 1776. A little bit of whimsy from the Erie Maritime Museum and U.S. Brig Niagara (above) to usher in the season. 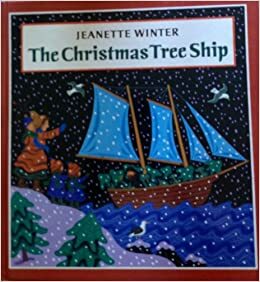 The museum and ship hosted their annual "Christmas Tree Ship" program, which is based on a true story as told by Jeanette Winter. 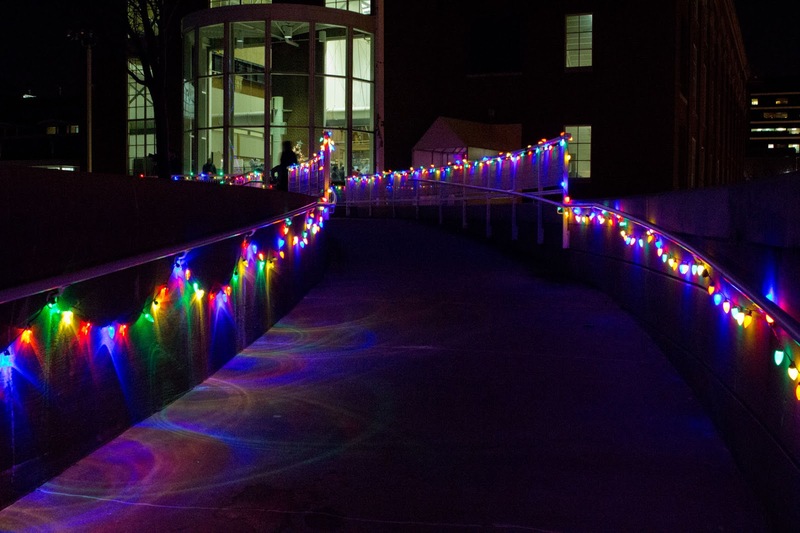 The event includes lots of activities for families, a chance to visit with Santa, and lots of lights. Mark your calendar for Dec. 9, 2016, if you want to be sure not to miss it next year. With so many holiday programs going on (not to mention the rest of life), you can't possibly have been to all the events on the Trails of History this past couple of weeks. Happily, thanks to social media, many sites have shared photos. And yes, what follows is very likely more than 5 things you may have missed. Be sure to check the December program page for upcoming events. This first item is a somber one, but I didn't want to let it get lost amidst the more cheerful stuff. 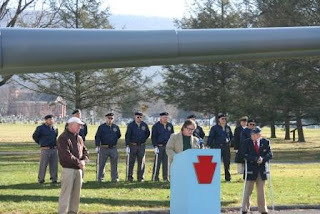 On Monday, Dec. 7, the Pennsylvania Military Museum hosted their annual Pearl Harbor Remembrance Day Tribute. 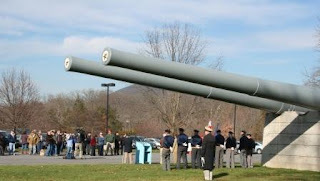 The event took place beneath two 14-inch guns from the USS Pennsylvania, which was at Pearl Harbor and sustained damage during the attack. PCN-tv was on hand to record the event, but I wasn't able to find the footage just yet. News coverage was also provided by the Daily Collegian and the Centre Daily Times, and site staff provided the photos above. 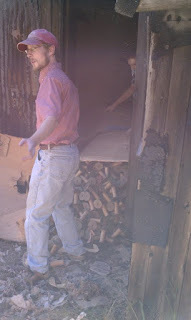 Landis Valley Village and Farm Museum is always busy during the holiday season, with Belsnickel events, Christmas Country Village (which continues Dec. 12-13), and the annual community bonfire. The photo above shows the Surveyor's Office decorated by staff and volunteers from the Heirloom Seed Project. You can find more photos of Christmas Country Village on Landis Valley's Facebook page and check out photos of the site posted by photographer Jennifer MacNeill. Site volunteers will be providing a make and take craft this evening (Dec. 11) for families taking part in the Ephrata Merchants' Association Jingle Bell Trolley Tour, which departs from the Ephrata Cloister parking lot. Sounds like a nice community cooperation effort. Also, there are (at least as of Dec. 10) still tickets available for Christmas at the Cloister, Dec. 14 and 15. It's a lovely program filled with music. So I mentioned that lots of sites have shared photos from their holiday programs on social media. 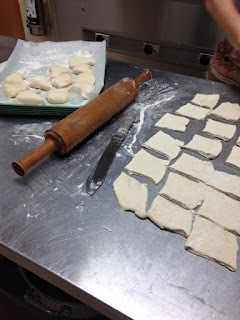 The potentially yummy photo above shows pedahoh (or perogies) being made for Somerset Historical Center's Ethnic Christmas Traditions program last weekend, which included food from Italian, Polish, Slovak, and German traditions (there was cultural info as well, but you know I always focus on the food). You can also find photos from Christmas at Eckley [Miners' Village], Christmas at Hope Lodge, and Pennsbury Manor's Holly Nights. On Dec. 9, the Railroad Museum's Catcher the Cow, Anthracite Heritage Museum's coal mine mule, and the State Museum's firefly and Big Chick all hung out on Twitter and Facebook for #MuseumMascotDay. How Was Your Thanksgiving, etc.? I hope that you and yours had a safe and happy Thanksgiving, Black Friday, Small Business Saturday, Gimme-a-Break Sunday, Cyber Monday, Giving Tuesday, Whatever Wednesday, and Thfffft Thursday (sorry, I ran out of steam). Please be sure to check the December program page to see what there is to do this month on the Trails of History. I've highlighted this weekend's offerings below, but you may want to plan ahead for events later in the month. As always, be aware that some site schedules change during the winter, so it's always a good idea to check before visiting. Ephrata Cloister held a candlelight open house last weekend and welcomed quite a few visitors interested in getting a different view of the site. Musicians and craftspeople were on hand to talk with visitors as they explored the historic buildings (WGAL covered the event and posted video on their website). If you missed it, fear not. The annual Christmas at the Cloister (Dec. 14-15) and Lantern Tour (Dec. 26-29) programs are still to come. Tickets are required for both, and Christmas at the Cloister may be sold out by the time you see this, but call 717/433-6600 to check on availability. Staff from the Railroad Museum of PA set up the traditional model train layout at the Pennsylvania Governor's Residence this week, featuring G-scale (for Garden) locomotives and railcars from Bachmann. They posted a short video on their Facebook page and you can see the layout in person if you attend the open house and tour events starting next week. Of course, you can always see model trains and their life-size counterparts at the Museum. Railroad Museum of Pennsylvania staff installed an operating layout at the Pennsylvania Governor's Residence today. Great G scale trains are courtesy of our friends at Bachmann! 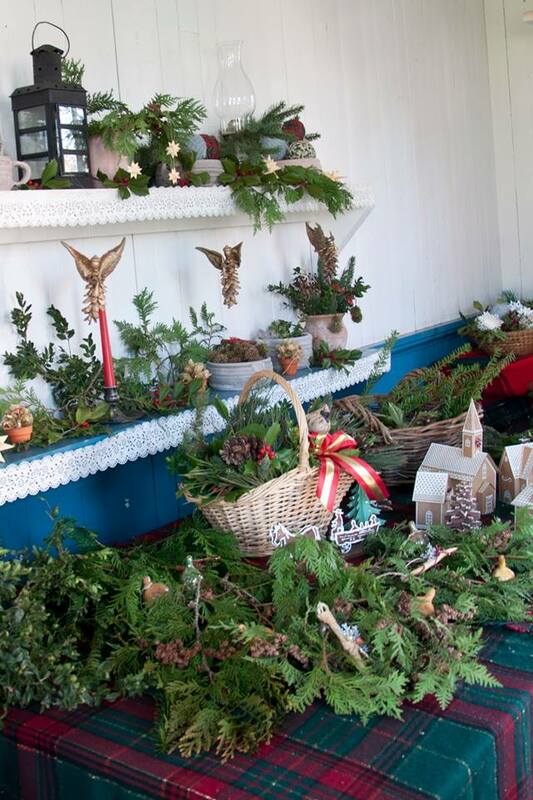 Conrad Weiser Homestead: Christmas Open House, Sunday 12/6, noon-4 pm. Cornwall Iron Furnace: Christmas at Cornwall House Tour, Saturday 12/5, 10 am-4 pm. Daniel Boone Homestead: A Homestead Christmas, Sunday 12/6, noon-4 pm. 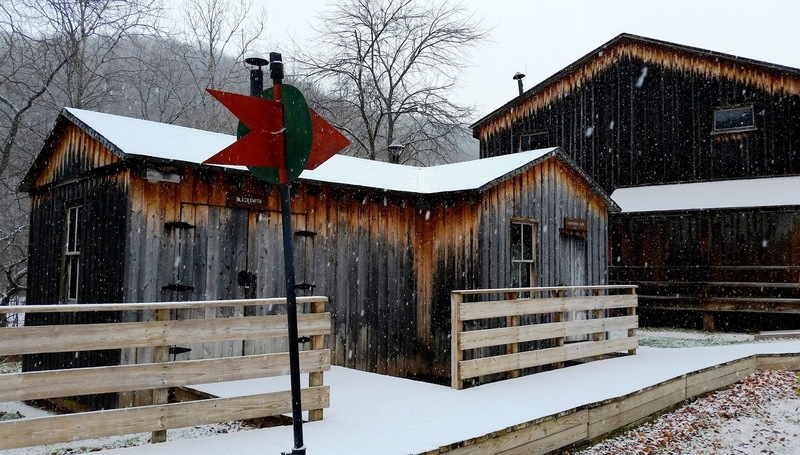 Eckley Miners' Village: Christmas at Eckley, Saturday and Sunday 12/5-6, noon-4 pm. Hope Lodge: Christmas at Hope Lodge, Saturday 12/5, 11 am-5 pm. Landis Valley Village and Farm Museum: Country Christmas Village, Saturday 12/5, 10 am-4 pm, and Sunday 12/6, noon-4 pm (event also held Dec. 12-13 but program varies). Old Economy Village: A Visit with Belsnickel, Saturday 12/5, 10 am-3 pm. Railroad Museum of Pennsylvania: Home for the Holidays and Christmas with the Conductor, Saturday 12/5, 9 am-5 pm (and again on 12/12). Somerset Historical Center: Ethnic Traditions of Somerset County, Sunday 12/6 at Friedens Lutheran Church. Advance tickets only, call 814/445-6077. All Trails of History sites will be closed tomorrow, Nov. 26. All of us here at Trailheads HQ wish you and yours a happy, safe, and tension-free Thanksgiving. Try for at least two out of three! Last Friday's post included some suggestions for things you can talk about around the dinner table (see what The Onion has to offer on this topic) or do to keep everyone occupied during the food coma recovery period. Today, in a special mid-week post, a few more ideas for the days ahead, in the event you actually want to leave the house. About half a dozen sites (see the list here) will be open on Friday, Nov. 27--a museum or historic site visit gets everyone out of the house and out of the mall. If you must succumb to the cultural pressures of shopping til you drop the day after Thanksgiving, why not include a museum store in your itinerary? Sites will be back to their regular schedules on Saturday, Nov. 28, which also happens to be Small Business Saturday. 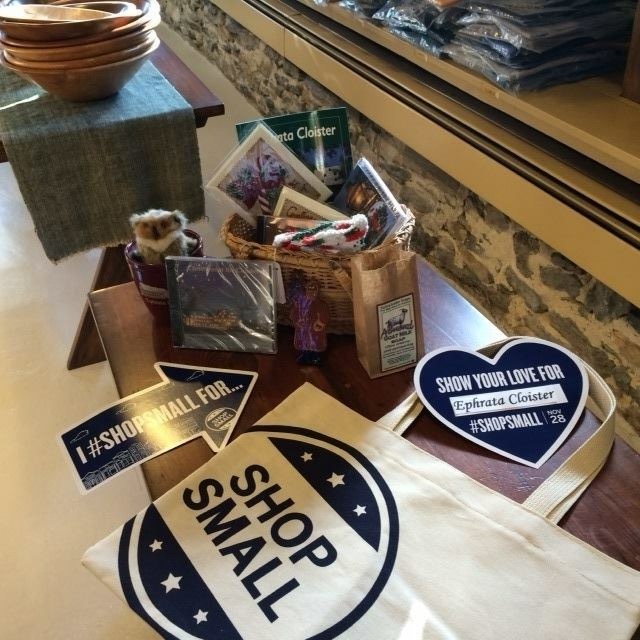 You can shop small AND shop local at our museum stores. 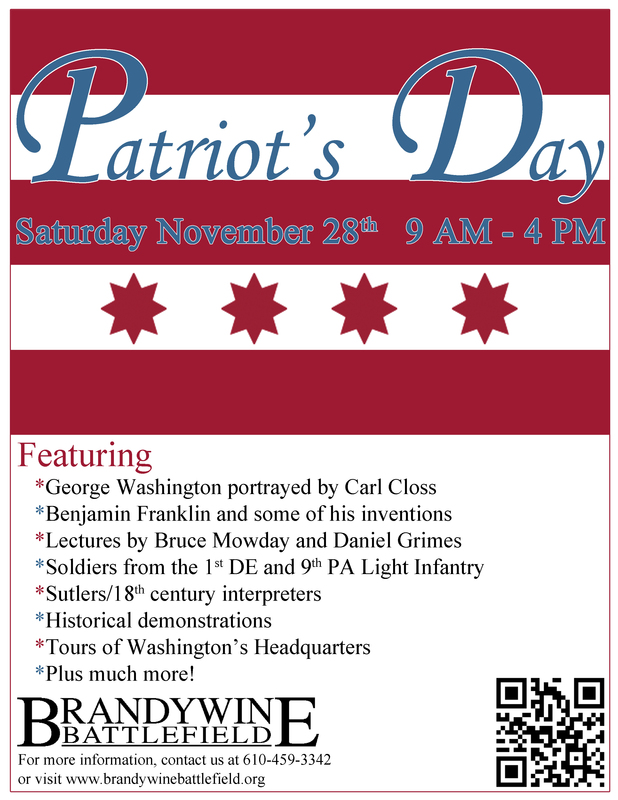 Brandywine Battlefield Park: Patriot's Day, 10 am-4 pm. Ephrata Cloister: Candlelight Open House, 5-8 pm. Graeme Park: A Soldier's Christmas, 11 am-4 pm. Pennsbury Manor: Wreaths & Greens Workshop, reservation required. 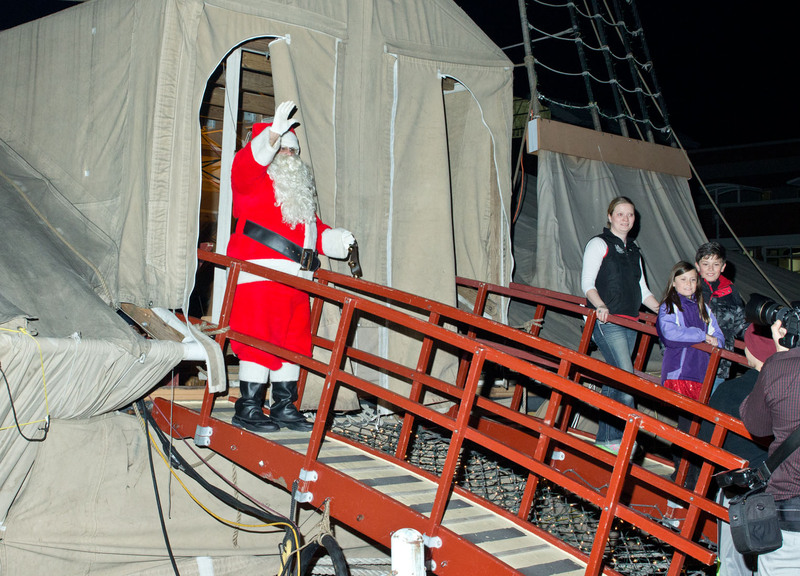 Pennsylvania Military Museum: Final weekend of the season (closed Nov. 30-Mar. 12). Guided tours at 1 pm Saturday and Sunday. And if you're just too tired from all the holiday hub-bub (hubbub? ), why not relax with a nice hot cup of tea or an adult beverage and consult the December program listings? Even with winter coming on, there's still plenty to do on the Trails of History. We're looking forward to seeing you. Oh, and one more thing. Tuesday, Dec. 1, is #GivingTuesday, an online initiative to encourage generosity and make it easy to support causes near and dear to your heart. Pennsbury Manor is participating, as is the Pennsylvania Heritage Foundation. I'll update this post if I learn of other Trails of History sites taking part this year. Looking for something to do this weekend? Be sure to check out the November program listings. Ready or not, next week is Thanksgiving. This week, as a public service, we present some ideas for things you can talk about around the dinner table on Thursday or during the following couple of days to avoid fighting talking about religion, politics, and whether or not Mom's gravy is as good as Grandma used to make. You're welcome. Okay, so this next one could turn sticky pretty quickly, but I still think it's worth sharing. StoryCorps, a project that has recorded and archived thousands of personal stories of everyday life and significant events, has launched "the Great Thanksgiving Listen." A pilot project aimed primarily at high school teachers and students, this initiative encourages students age 13 and older to take advantage of family get-togethers over the holiday to gather and save the wisdom of our elders. You don't have to be a high school student or teacher to participate, but you must be at least 13 years old (and have parental permission if you're under 18). For more information and instructions on how to get involved, visit the project website. Even if you're not up for recording family stories, you might want to gather family history info while you have people in a weakened condition due to overuse of mashed potatoes. The PHMC has been partnering with Ancestry.com to digitize and make available family history records held by the PA State Archives. If your family is from Pennsylvania, you may be able to find birth, marriage, and death records; military service records; and census and property info. A Pennsylvania zip code is all you need to create a free account (if you already have an Ancestry.com account you can use that). Or you might want to check out the Railroad Museum of Pennsylvania's new and enhanced online catalog of its library and archives. If you have railroad history fans in your household (and who of us doesn't?) you (or they) might enjoy searching for particular pieces of history or browsing through the records of this amazing collection. There's even an intro video to help you navigate. Or you can do some brainstorming about things that have and haven't changed. Linton Weeks, national correspondent for NPR Digital News, is crowdsourcing a story on things that people still do the way people did them 100 years ago (and yes, he's aware of the potential pitfalls there). In a post on the NPR History Dept. blog, he goes into more detail on what he's looking for and provides the example of Carillon Historical Park in Dayton, OH, that is a museum and a production brewery, complete with period-costumed brewster (which is apparently what female brewers were called in the 1850s). Anyway, I'm thinking some of you out there might have info and ideas to share based on your own experience or places you've visited. The article has more info about how to get in touch with Mr. Weeks. And, okay, this one's about pictures too, but I said 6 things, so you're getting 6 things. For more pictures to look at, Washington Crossing Historic Park announced the finalists in the fall photo contest, all of which are on display in the Visitor Center. The People's Choice award went to Justin DeRosa. And a little bonus, shared by the folks at Washington Crossing. A recent article in People magazine featured photographer John Olson, who has put together a team of technicians and engineers to create 3-D versions of paintings that allow people who are blind to experience paintings through touch. Guess which famous painting is among those shone in the article? Please check out the November program listings to see what else is happening on the Trails of History this weekend. Tomorrow afternoon, Nov. 14, from 3:15 to 4:45, composer Julia Wolfe will talk about her Pulitzer Prize-winning oratorio, Anthracite Fields, at the Anthracite Heritage Museum (AHM) in Scranton. As noted in an article in the Wilkes-Barre Times Leader, Wolfe conducted some of her research at the museum, including interviewing AHM docent Barbara Powell about her experiences growing up in the hard coal region. Wolfe told Times Leader reporter Mary Therese Biebel that her conversations with Powell provided the inspiration for the "Flowers" portion of the oratorio, shedding light on ways that mining families added beauty to their daily lives. 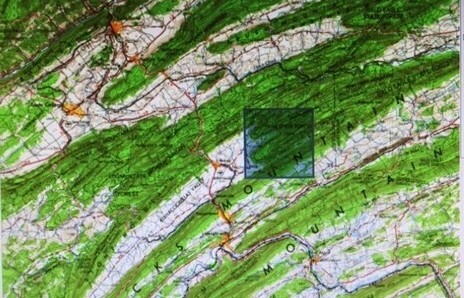 Anthracite Fields, which won the 2015 Pulitzer Prize for Music, was commissioned by the Mendelssohn Club of Philadelphia through Meet the Composer’s Commissioning Music/USA program, made possible by generous support from the Mary Flagler Cary Charitable Trust, New York City Department of Cultural Affairs, the William and Flora Hewlett Foundation, and the Helen F. Whitaker Fund. Additional support was made possible through the Mendelssohn Club of Philadelphia Alan Harler New Ventures Fund, The Presser Foundation, The Pew Center for Arts and Heritage, the National Endowment for the Arts, The Musical Fund Society of Philadelphia, and the Aaron Copland Fund for Music. Bang on a Can All Stars and the Choir of Trinity Wall Street, conducted by Julian Wachner, will perform Anthracite Fields tomorrow night, 7:30 pm, at Wyoming Seminary's Kirby Center for the Creative Arts, Kingston (Wolfe will give a pre-concert talk at 6:30). Tickets are $10 online or at the door, and a portion of the proceeds will benefit the Anthracite Heritage Museum. On a related note, the State Museum's "Pennsylvania Icons" exhibit has opened. Among the objects are items carried by Marilyn McCusker, a roof bolter helper who became the first woman killed in a deep-mine accident when the roof of the Rushton Mine (Centre County) collapsed on Oct. 2, 1979. McCusker was a bituminous (soft coal) miner, but her story is similar in many ways to those told in the anthracite region about the dangers of mining. Although leaf peeping season is pretty much over, there are still plenty of reasons to visit PA's northern tier. A new driving tour designed by the Greater Renovo Area Heritage Park Association features locations and public art related to the history of the Civilian Conservation Corps in the Lumber Heritage Region (the map was supported by LHR and other entities). Of course, one of the stops is the Pennsylvania Lumber Museum, whose new exhibit (that I might have mentioned once or twice here in Trailheads) includes a section on the CCC and its legacy in northern PA. What I haven't mentioned (I don't think) is that the Visitor Center at the Lumber Museum will now be open year-round, so if you're in the area, be sure to stop in. If you're more of an armchair tourist, you might want to see what's happening in Bucks County with new Google Street View Trekker tours that include Washington Crossing Historic Park. It took me a little while to figure out the navigation, but it was interesting once I did. Not a replacement, in my opinion, for being there in person, but a useful tool for anyone wanting to preview a visit. Please be sure to check out the November program listings for events coming up this weekend and the rest of the month. Today’s guest blogger is Beth Hager, PHMC’s Director of Strategic Initiatives. 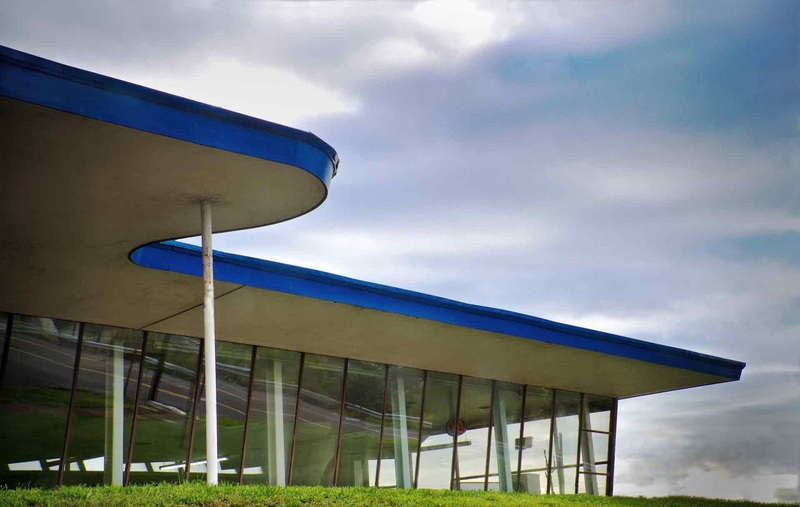 She shares some info about the new State Museum exhibit, “PA Modern,” which she co-curated with Amy Hammond and Carol Buck, with assistance from the PA State Historic Preservation Office and the Pennsylvania Heritage Foundation. 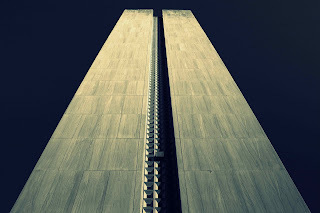 Last spring on Trailheads we shared a call for photographs of Modernist buildings in Pennsylvania to enter a juried photo exhibit at The State Museum of Pennsylvania in Harrisburg. 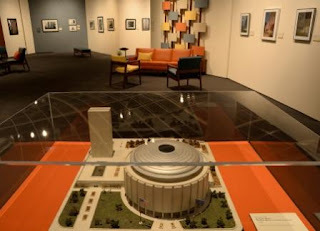 In honor of the 50th anniversary of The State Museum and Archives Complex this year, the earlier post explained, the show would help celebrate and shine a light on a distinctive, progressive style that, although found throughout the Commonwealth, is often “hidden in plain sight.” It was sort of a tall order – would photographers embrace the assignment and would a solid exhibition result? We’re happy to report that Pennsylvania photographers – from amateur enthusiasts to seasoned professionals – did in fact step up to the task in a brilliant way with stellar entries. “PA Modern” opened to the public at The State Museum on Sunday, October 25, with an audience of approximately 150 photographers and fans of Midcentury Modern. Two award winners were announced at a brief ceremony; both photographs will become part of PHMC's permanent collection. The show includes 98 photographs (list of photographers and their home counties) showcasing Modern architecture from across the Commonwealth, with diverse scenes of homes, churches, skyscrapers, diners, and schools. All photos in the exhibit were selected by an independent panel of jurors: Dennis Hockman, editor of Preservation magazine (National Trust for Historic Preservation); Betsy Manning, Philadelphia-area photojournalist; and David Oresick, Executive Director of Pittsburgh’s Silver Eye Center for Photography. Join me at the State Museum for a tour of the exhibit on Sunday, November 15, at 2 pm and meet “Best of Show” award winner Andrew Hoff and PHMC historic preservation specialist Bryan Van Sweden. This will be the first of several “Artists Conversations” that will take place during the course of the show, which is open through February 28, 2016. As we're right on the cusp of the old month and the new, you'll find the October program listings and the November program listings on the side bar. Don't forget to turn your clocks back by 2 am Sunday, Nov. 1, for the end of Daylight Savings Time. "How quaint," I hear you say, "to have clocks that must be reset manually." Depending on where you live in Pennsylvania (if you live in Pennsylvania), you may have trick-or-treaters at your door tonight or tomorrow. Or maybe they were on your doorstep last night and you're already elbow deep in the leftover candy (why is it soooo hard to get the quantities right?). This week's post features some items that came across my screen in the past couple of weeks. None of them is directly related to a specific Trails of History site, so I haven't quite known how to share them here. But it occurred to me that they should still be of interest to Trailheads readers, most of whom I assume to be, like me, history geeks true aficionados of high-quality historical goods. So here are a few calorie-free treats to start your weekend. I have a handful of Facebook friends who are heavily into the textile arts (knitting and quilting, in particular), so I've seen several references to London's Victoria & Albert Museum and a collection of 1940s knitting patterns they recently posted on their website. With PHMC plans beginning to form for 100th-anniversary and 75th-anniversary commemorations of U.S. entry into WWI and WWII, it made me wonder if anyone out there knows of similar patterns produced for American knitters (if you do, please leave a note in the comments). The British versions include the usual mix of sweaters and hats, but there are also specialized pieces adapted for men and women in uniform. 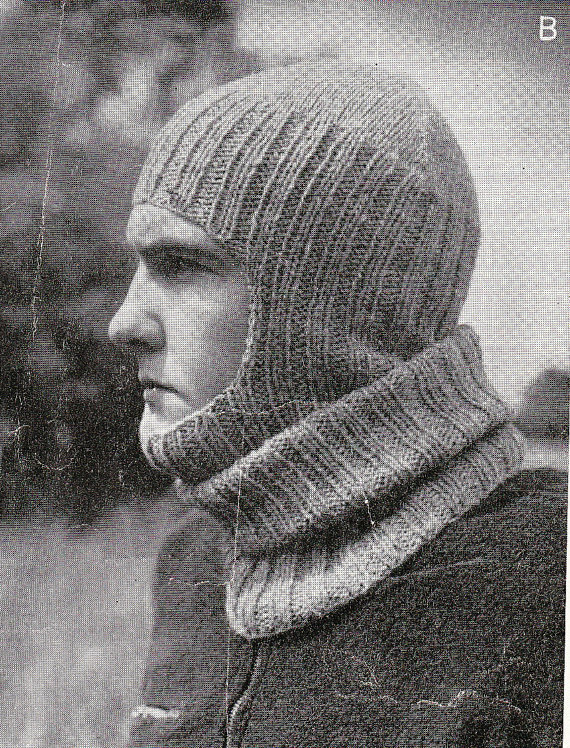 This also put me in mind of an unfinished pair of WWII-era hand-knit socks in the collection of the PA Military Museum. 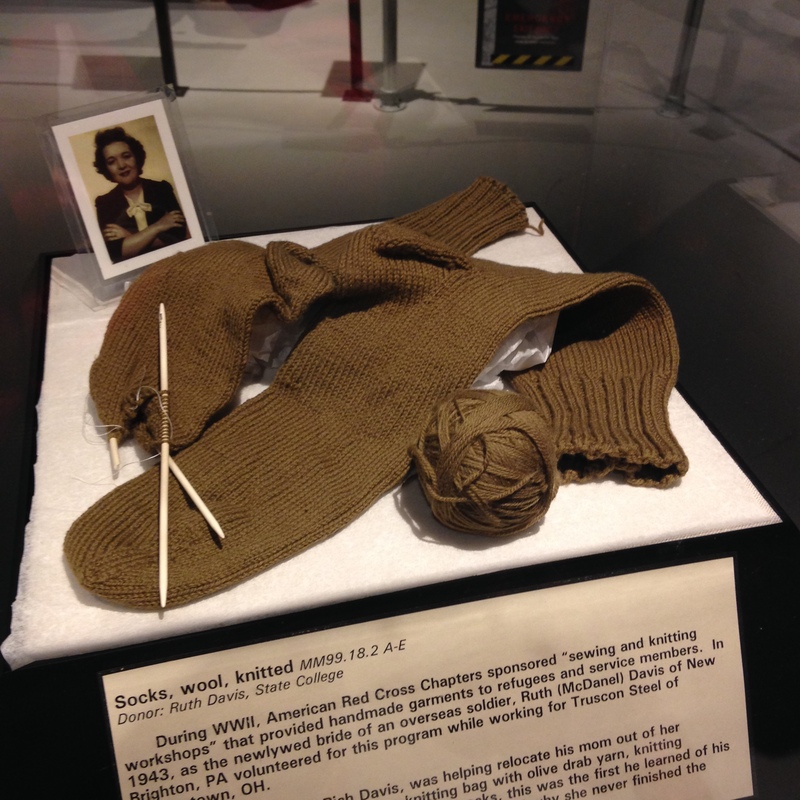 One sock was completed and the second was in process when the war ended, so the knitter, Ruth Davis, simply put them aside. I have always found them to be a powerful symbol of "the homefront," as well as a sense of a defined end to the war effort that has not been part of my experience in the late 20th or early 21st century. You can see a great photo of the socks on display at the PMM last Memorial Day weekend, posted by blogger "Domer in DC" (to save some of you having to look it up, a "domer" is someone who went to the Univ. of Notre Dame). On a related note, Yale University has recently organized and made available a collection of 170,000 photographs created between 1935 and 1945 by the U.S. Farm Security Administration and Office of War Information (FSA-OWI). The photos are housed at the Library of Congress, but Yale's "Photogrammar" project is making them more searchable (and is in process of linking photos by photographer, location, date, etc.). There are quite a few photos for Pennsylvania, including many showing homefront activities (such as scrap drives) and farming in Lancaster County before and during WWII. If you visit the Photogrammer website, I suggest you set aside some time, because you may be there awhile. UPDATE 11/6/15: It has been brought to my attention that there are some glitches with the Pennsylvania images where the county info is incorrect (for example, images from Bryn Mawr, Delaware County, are marked as being from Washington County and some images from Washington County are included with Cumberland County. So just be aware and double check if you're using these for anything other than entertainment. On the other hand, while looking at the Cumberland County photos, I found one from the U.S. Army medical field school in 1943 with a man wearing a knitted scarf, so that connected the dots of this post very nicely. A recent link in my newsfeed (but I can't remember who shared it), led to the website of the U.S. Geological Survey (USGS), which has been making topographical maps available for free download. They just finished a 2nd cycle of maps in September and most of the 50 states have at least some maps available (Alaska is in process). But this might be just the thing for the map lover in your life (or for yourself, of course). Finally, there was a news item last week that should warm the heart of just about anyone involved with museums, whether you work at a museum or like to visit them (or both). NPR reported on a study by psychologists at Univ. of Oklahoma and Yale Univ. that compared how children and adults responded to different types of stories. At the risk of greatly oversimplifying the findings (you can read a fuller summary on NPR's website), researchers found that children in the study showed a greater preference for stories that were "real" and "factual" than for those that were "make-believe" or "fantasy," and adults showed some preferences for the latter. They theorized that there is a perceived difference between stories young children hear from older children or adults ("experts") and those they tell themselves or each other (in make-believe or play settings). Stories from experts help them learn new things about their world while stories with themselves or peers are about processing what they already know. I think this reinforces what lots of history museum folks know, which is that even young children respond enthusiastically to learning about the past and experiencing real places. In my unscientific opinion, I think it means we should be aware of the authenticity of programs and interpretation for children as well as adults and maybe look for opportunities to let adults engage in some make-believe. Hmmm, like dressing up for Halloween? The October program listings have plenty of things to keep you busy this weekend. I, on the other hand, will be attending my 35-year high school reunion. Yikes! Pardon the clickbait title, I've spent a lot of time on the internet today. What happens next will amaze you! You may have heard about the recent discovery of the remains of an early 19th-century chemistry lab behind the walls of the historic Rotunda at the University of Virginia. Historic preservation architects at UVA noted similarities between the chemical hearth on the Rotunda's lower level and those in the laboratory of William J. MacNeven (1763-1841) at the College of Physicians and Surgeons (NYC). MacNeven was the mentor of John Emmet, who worked with Thomas Jefferson to design the lab at UVA and was the first professor of natural history there. I'm very curious, however, as to whether there might also be some connection with the chemical hearth (or what remains of it) at the Joseph Priestley House. Jefferson and Priestley met at the American Philosophical Society (APS) in Philadelphia and carried on a friendly correspondence until Priestley's death in 1804. Among their letters are discussions of religion, science, and education (including Priestley's advice on Jefferson's plans for the University). MacNeven was also associated with the APS and had, like Priestley, a history of political controversy. So, I guess, add this to the lengthening list of stuff I'd love to research further. In the meantime, you can read about Priestley's lab (and a project to interpret it more effectively for the public) on the Priestley House website. Speaking of chemistry, Pennsbury Manor's brewing program was recently featured on "Cheers to You!" The weekly program explores craft breweries, wineries, and distilleries in the Bucks County area. Pennsbury's brewing activities, part of its interpretation of 17th-century foodways, has gained a following among people interested in craft brewing, as has its annual "Brews and Bites" event in June. Looking for Halloween-themed fun with a historical angle? Check out Bushy Run Battlefield, Daniel Boone Homestead, Eckley Miners' Village, Ephrata Cloister, Graeme Park, Pennsbury Manor, and Somerset Historical Center. Don't forget that Washington Crossing Historic Park's "Capture the Park" photo contest is underway. You have until Nov. 1 to submit photos taken in the park between Oct. 1 and 31. A chance for fame, glory, and a $50 gift card from the Washington Crossing Inn. This past Wednesday, the internet and airwaves were overflowing with images and memes and puns for "Back to the Future Day." It was hard to miss and even found its way onto the Trails of History. The October program listings will tell you all there is to know about your weekend plans. Not noted in the October program listings is the fact that this Sunday, October 18, is the last day of operation for the replica oil rig and Olin engine at Drake Well Museum until they come out of hibernation in May. So if you want to see these important pieces of oil field equipment in action (and I'm fairly sure some lovely fall foliage as well), this is it for a while. The museum remains open throughout the year (with exhibits and programs) but the outdoor operating equipment shuts down as winter approaches. 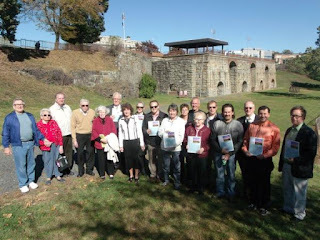 On Sunday, Oct. 11, the Scranton Iron Furnaces joined an elite group that includes the Statue of Liberty, the Eiffel Tower (the real one, in Paris), and our own Cornwall Iron Furnace. ASM International (American Society for Metals) has added the site to its list of Historical Landmarks, in recognition of its role in the "discovery, development, and growth of metals and metalworking." You can check out the site for yourself tomorrow night (Oct. 17) at the annual Bonfire at the Furnaces event. This last item is from early September, but it was news to me, so now it can be news to you (some of you, anyway). As many of you know, the U.S. Brig Niagara is the flagship of Pennsylvania, helping to promote the state throughout the Great Lakes region and, in tandem with the Erie Maritime Museum, educating the public about the Battle of Lake Erie and the War of 1812. Another of the ship's important roles is as a Sailing School Vessel (SSV), which involves inspection and certification by the U.S. Coast Guard. Niagara's captains and crew provide sail training and experience to a wide range of students from day sailing 4th graders to live-aboard adults. For 10 days this September, the ship served as home away from home for fall semester enrollees in the Williams-Mystic Maritime Studies Program, a collaboration between Williams College in Massachusetts and Mystic Seaport Museum in Connecticut. According to Niagara's senior captain, Walter Rybka, the program's goal for the sail was an immersion experience for the students - "to create a sense of the isolated community of a ship at sea." This was Williams-Mystic's first sail on Niagara, chosen because the ships they normally work with were unavailable this fall. While the geography of a Great Lakes sail meant they were not completely isolated, Niagara and her crew provided the students with an excellent shipboard experience. I found two blog posts about the trip - one by faculty member Richard King and the other by student Caitlyn Stewart - including photos of the ship and crew. One last, related, tidbit. The American Bus Association has included Tall Ships Erie 2016, scheduled for Sept. 8-10, to its list of the Top 100 events for 2016, citing its potential to draw group tours and individual travelers. Congrats! As you may know, Monday, Oct. 12, is Columbus Day. Several Trails of History sites will be open on the holiday (find the list here). I've included some info below on events happening Saturday and Sunday, but you'll find the list for the rest of the month on the sidebar. 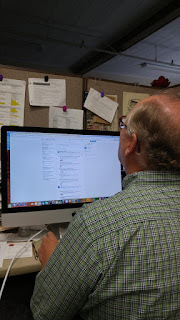 So, I subscribe to Google Alerts for the sites on the Trails of History and usually what shows up in my Gmail are program announcements, calendars of events, and coverage of the many wonderful programs offered to the public. This morning I checked to see what I had and found an interesting item related to one of our sites. Due to a major public works project in Birmingham, England, several statues are being moved from Chamberlain Square into storage at the Birmingham Museum Trust's Collection Centre. One of the statues is of Dr. Joseph Priestley, who lived in Birmingham from 1770 to 1791. Public animosity to his support of the French Revolution caused him and his family to flee Birmingham; they eventually settled in Northumberland, PA, where their house and laboratory are part of the Trails of History. The Ephrata Cloister Chorus is currently holding open rehearsals for singers interested in auditioning. They ask that prospective members attend 3 consecutive Tuesday night rehearsals in October, which would mean you'd need to attend the rest of the October rehearsals (more info in this news article). You still have a couple of weeks to "Capture the Park" by taking a stunning photo at Washington Crossing Historic Park and entering it in the photo contest. Eligible photos must have been taken this month and must be submitted by November 1 (details here). Watch for details of the Eckley Miners' Village Winter Wonderland photo contest starting in December. 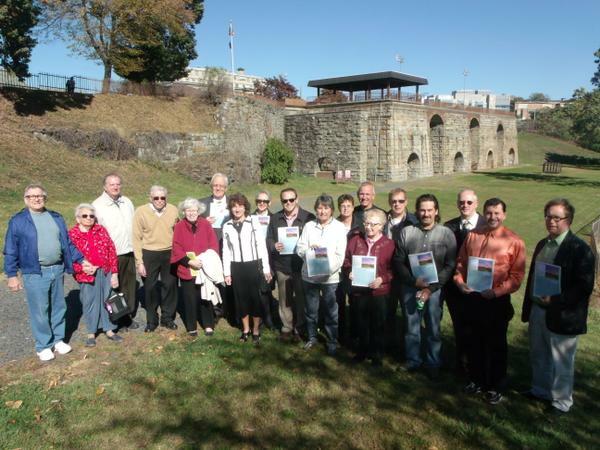 Oct. 11: Award Ceremony—the American Society for Metals (ASM) has named the Scranton Iron Furnaces its Historical Landmark for 2015. 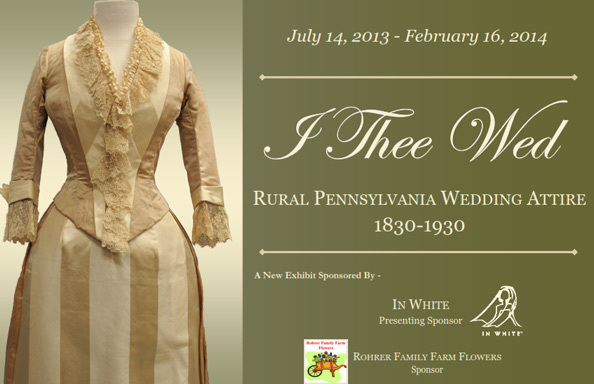 Please note that the ceremony will take place at the Anthracite Heritage Museum. Admission will be free during the event, and refreshments will be served after the award presentation. 2-5 pm. Oct. 9-10: Aschenbach's Apple Dumpling Sales Benefit—enjoy a delicious PA Dutch tradition and support the Back to the Cloister Fund (which helps to return original furnishings and objects to the site). $4 per dumpling (regular admission applies if you want to tour the site). 9:30 am-4 pm (or until sold out). Oct. 11: Day of Music—the Ephrata Cloister Chorus will perform in the Saal at 2, 3, and 4 pm. Admission charged. Oct. 10-11: Harvest Days—a classic special event and a great way to celebrate the coming of fall. Loads of demonstrations and activities for the whole family in a beautiful setting. Admission: age 12-64, $12; age 65+, $10; age 6-11, $8; free parking. 11 am-5 pm. Oct. 10: Paths Less Traveled Tour—explore areas not usually included on tours at Pennsbury Manor and learn about people behind the scenes in the 17th and 20th centuries. The tour involves climbing stairs and walking on uneven terrain. $15 per person (free for members). 1-4 pm. Oct. 11: Living History Theater—William Penn’s steward and housekeeper, John Sotcher and Mary Lofty, will be united in marriage according to 17th-century Quaker wedding customs. Included in regular admission. 1-4 pm. Oct 10-11: 34th Annual Fall Antique and Collectable Show—this semi-annual event supports the programs of the Lumber Museum, and this year includes a chance to see the newly renovated and expanded Visitor Center and the new exhibit, "Challenges and Choices in Pennsylvania's Forests." Other activities include birch still and blacksmithing demos, horseshoes and greased pole contests, and food for purchase in the community room. Admission charged. 10 am-4:30 pm both days. 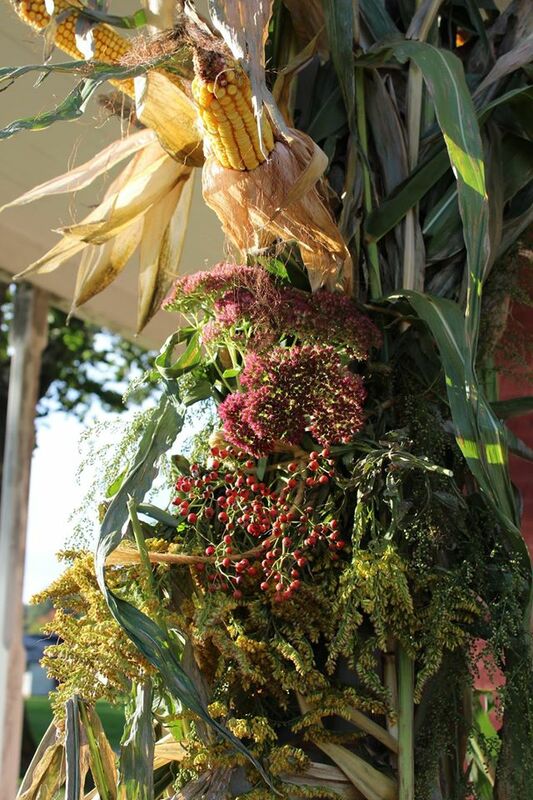 Oct. 10: McConkey's Market—outdoor artisan market near the visitor center, featuring handcrafted, vintage, and upcycled items, as well as food vendors and beautiful scenery. 10 am-4 pm. It's October already, and you can find the monthly program listing on the sidebar. Lucky you. We're back to guest posts! This week frequent Trailheads contributor Linda Bolla, Erie Maritime Museum and Flagship Niagara, writes about two recent PHMC historical markers dedicated in Erie County. Photos are courtesy of Allan Montgomery, Linda Bolla, and John Baker. The fact that two of these recognize the efforts of women gives one pause to reflect on the nature of women’s contributions to history and culture in the age before the later 20th Century feminist movement. These words come to mind: quiet, but profoundly inspirational. In her children’s novel Miracles on Maple Hill (1956), Virginia Sorensen reveals the miracles of nature as well as of healing body and mind. Her simple story, inspired by people she knew and experiences she had living in Edinboro, PA, was honored in 1957 with a John Newbery Medal, given for the most distinguished contribution to American literature for children. Sorensen’s book has not lost any of its appeal, even as we approach the 60th anniversary of its publication. Generations continue to read a very old-fashioned story about a little girl and her family, because the values and bonds of family and friends are universal, and because Sorensen crafted her story in a way that transcends the modern age. Her picture of a place in time has proven to be timeless. 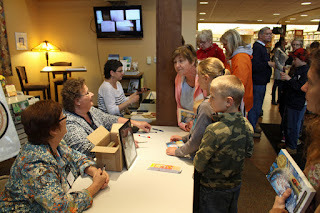 Children and adults met and had their books signed by Marilyn Hilburn (left), who was Virginia Sorensen's model for the character Margie, and Amy Hipple Bjork (second from left), Sorensen's model for Marly. 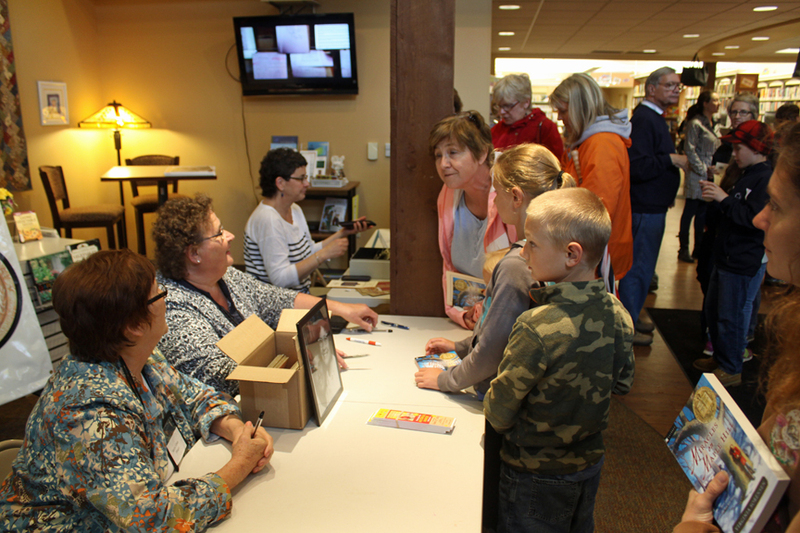 Lisa Nathanson of Hurry Hill Maple Farm Museum (background) had Sorensen's book, Miracles on Maple Hill, for sale. Sorensen’s Newbery Medal is on exhibit at the Museum. While the weather was not-too-cooperative for the June 27th unveiling of the Miracles on Maple Hill marker, the event was still full of old-fashioned fun, with nearly 200 people enjoying music, talks, book signings (photo above), and maple ice cream sundaes. 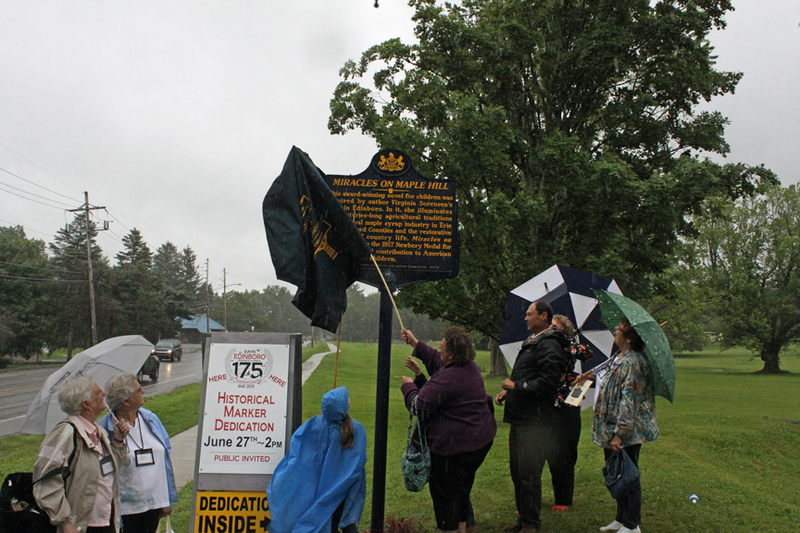 In the photo below, Amy Hipple Bjork has the honor of unveiling the marker, located on Route 6N in Edinboro. The women who made Oliver Hazard Perry’s “Don’t Give Up the Ship” flag remained steadfast to their task amidst the fear and tension of Erie preparing for war. The flagmakers shared the common bond of family (all were part of the Forster family) and quietly made their stitches while fathers, brothers, and sons engaged in the more obvious aspects of war as soldiers. They certainly had no thoughts beyond the immediate. While they hoped their work would inspire Perry’s men, they could not have known that the flag they made in 1813 would continue to speak through centuries, inspiring generations of naval officers as well as anyone who needs to stand persistent to win the day. While their work is preserved and exhibited at the US Naval Academy Museum, their names are not remembered there – it is on the state historical marker that they are finally brought out of the shadows. 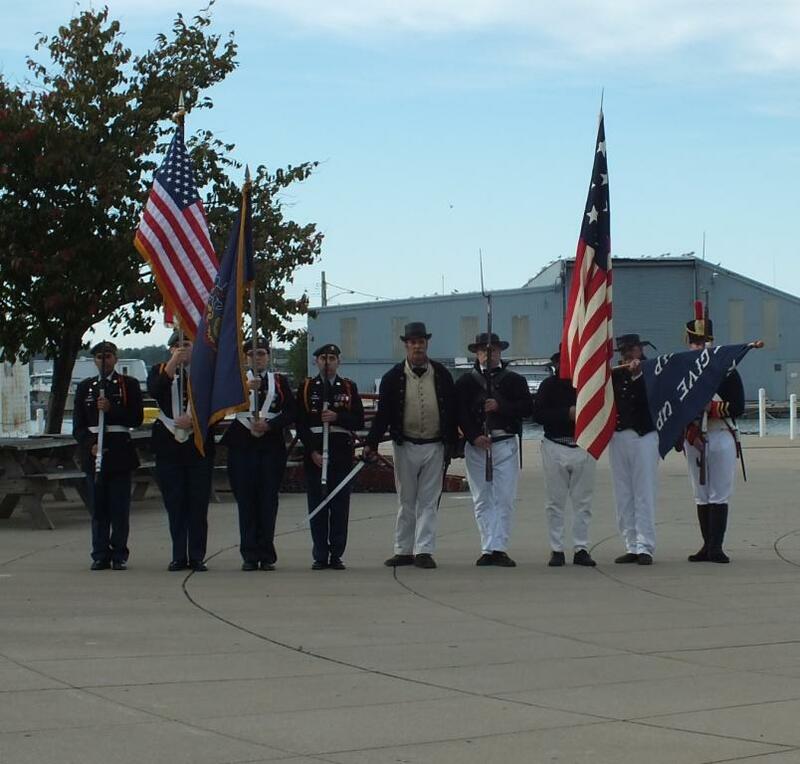 East High JROTC joined Ship’s Company, US Brig Niagara 1813 to provide a color guard for the Battle of Lake Erie Commemoration. In honoring both the 1813 period colors along with our nation’s flag, we honor the fallen of the War of 1812 as well as the veterans and those who continue to serve today. Dedication of the “Making of the Flag” marker took place on September 10th at the Erie Maritime Museum as part of the annual commemoration of the Battle of Lake Erie. While the service itself was solemn, there certainly was a sense of joy when the marker honoring the flag makers was unveiled. 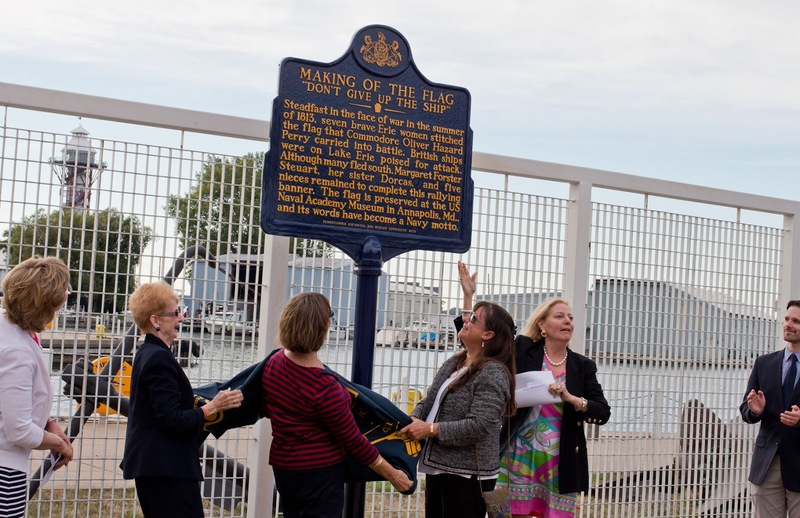 In the photo below, Forster Family descendants N. Lane Nelson and Becky Forster (center, left and right), along with Sabina Freeman (left) and PHMC Commissioner Craige Pepper Victor (right) reveal Pennsylvania’s newest marker. Descendant Nancy Gorman (far left) and Master of Ceremonies Jay Breneman (far right) applaud. For Trails of History programs this weekend and early next week, check out the September program listings. If you're planning ahead, the October listings are now available. Filling out the branches of a family tree isn't easy. Hours of your time are spent sifting through decades of birth and death records. Sidetracks are common, especially if you discover that one of your relatives wasn't entirely truthful about their own history. But, it's worth it...any archivist will tell you that. On Thursday, October 1, four archivists with the Pennsylvania State Archives will participate in Ask An Archivist Day by taking to Twitter to answer anything and everything archives. 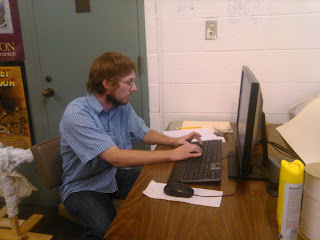 Later in the day, State Archivist David Carmicheal will do his part by fielding your most pressing inquiries. Sponsored by the Society of American Archivists, Ask An Archivist offers the public the opportunity to connect directly to archivists in their community — and around the country — to ask questions, get information, or just satisfy curiosity. 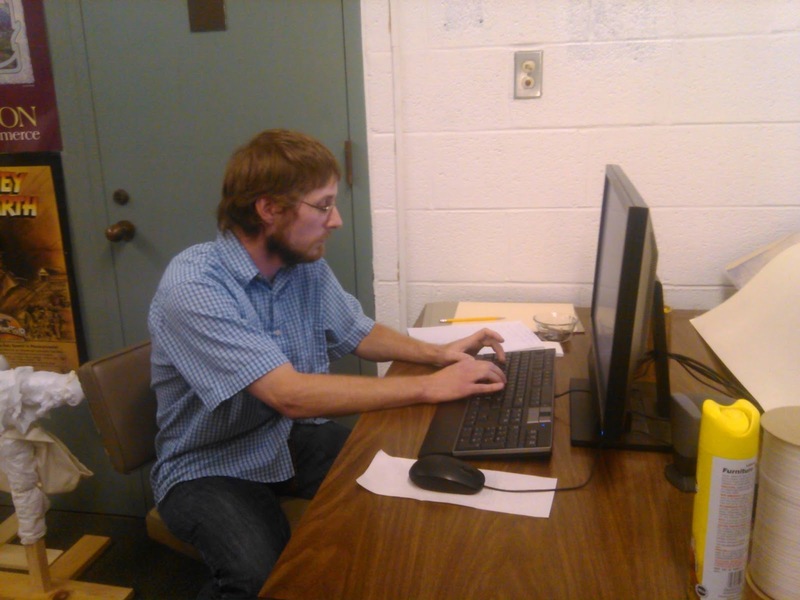 Archivist Aaron McWilliams will take a break from his busy schedule to answer your questions on genealogy. 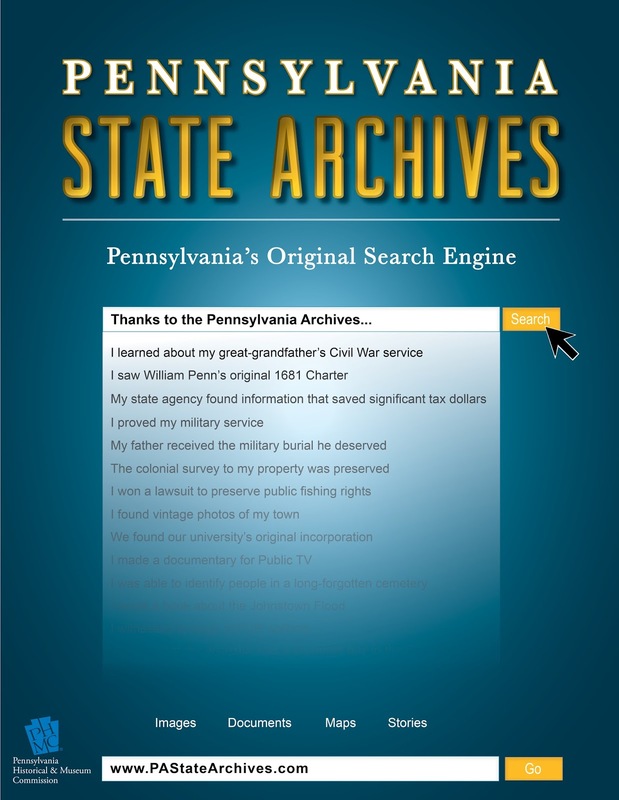 Thanks to a continued collaboration between the Pennsylvania State Archives and Ancestry all of the publicly available death records from the Archives from 1906 until 1963 are now available online. 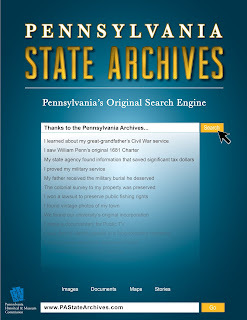 In addition, Pennsylvania birth records from 1906 to 1908 are also available via ancestry.com. In the second half of the first session,archivist Rich Saylor will take your questions on military history. Saylor is the author of the national-award winning book Soldiers to Governors: Pennsylvania's Civil War Veterans Who Became State Leaders. Archivist Kurt Bell will lead off the second session of Ask An Archivist by answering your questions on Railroad Research. Don't hold back. Kurt is an expert when it comes to railroad history in the Commonwealth. 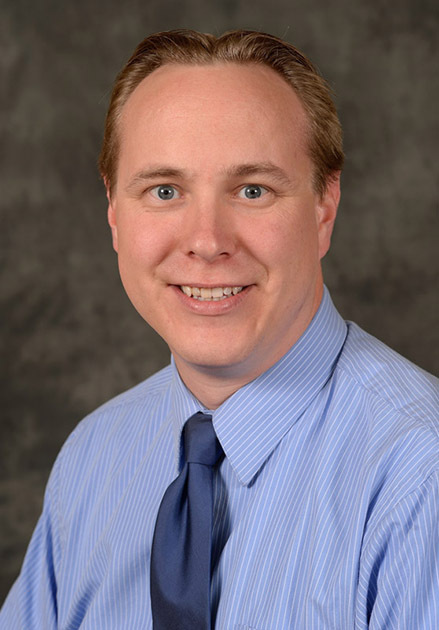 Next, Josh Stahlman, an archivist at the Pennsylvania State Archives since 2008, is ready to offer tips when it comes to Caring for Family Records. State Archivist David Carmicheal will spend the last hour of Ask An Archivist answering questions regarding his role with the Commonwealth. 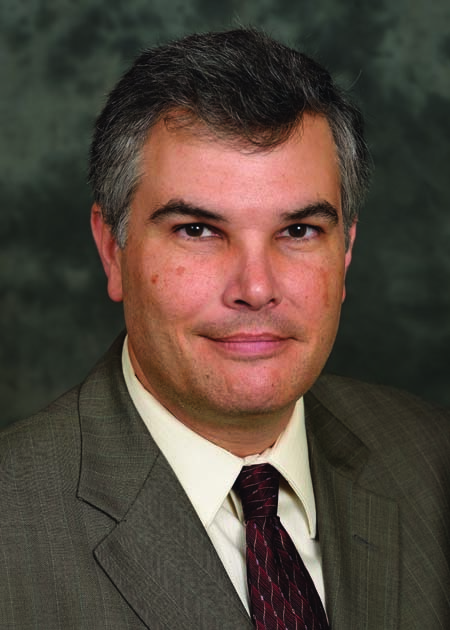 Before coming to the Pennsylvania Historical and Museum Commission, Carmicheal directed the Georgia Division of Archives and History. 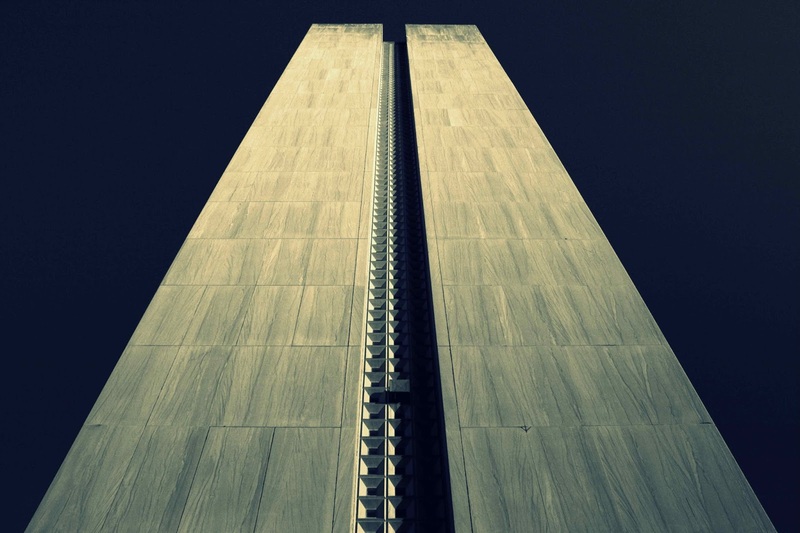 During his tenure, he oversaw the design and construction of the award-winning Georgia Archives building, introduced the Virtual Vault to provide online access to more than 1.5 million archival documents and helped lead national efforts in emergency management, particularly for the protection of essential government records. This past Wednesday was #AskACurator day. 2015 was the second year for PHMC's participation in this international Twitter-based initiative. Curators and social media folks from Anthracite Heritage Museum, Ephrata Cloister, and Landis Valley Village and Farm Museum took part at various times throughout the day, working with PHMC's information specialist. 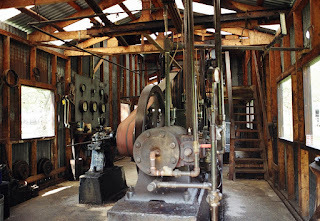 We had some good back and forth among the sites and other non-PHMC museums, with retweeting going on by site followers. (You can find a summary for all three sites on PHMC's Storify or for Ephrata and Landis Valley on Erin Negley's (Lancaster Newspapers) Storify.) Look for us next year on Sept. 14and join in the conversation! On a related note, PennDOT and the PA Turnpike Commission have created a website with info about traffic and road closures during the papal visit. If you're planning to go to Philly or want to be sure to avoid the traffic, this looks like a useful resource. Please be aware that many museums in downtown Philadelphia will be closed next weekend, but Graeme Park, Pennsbury Manor, and Washington Crossing Historic Park will be open. Just sayin'. The September programs listing ended up being a separate page instead of a regular post, so if you're looking for something to do THIS weekend, please check it out. Look for the October listings to arrive next Friday, so that you can plan ahead. As you know from Friday's post by Sean Adkins, PHMC's information specialist, tomorrow (Sept. 16) is #AskACurator day. This is an international, social media initiative designed to connect museum curators and collections to the public. The event runs all day, but at many museums, curators are available at specific times to answer questions via Twitter. This year, curators from the Anthracite Heritage Museum, Ephrata Cloister, and Landis Valley Village and Farm Museum will join hundreds of museum professionals from more than 1,000 museums all over the world. Not too shabby. First up is Jennifer Royer, who has has been a curator at Landis Valley Village and Farm Museum in Lancaster since 2011 (she was coordinator of living history and director of exhibits and collections for the York County Heritage Trust, 2004-2011). At Landis Valley she works primarily with the Pennsylvania German decorative arts but has also dealt with farm equipment, tools, rifles, and a wide array of other artifacts. She is responsible for the research library at the Museum and is currently working on a weathervane exhibit to be installed in 2016. Jennifer and Landis Valley's media assistant, Shayla Carey, will field questions from 10 to 11 am EDT @LandisValley. Next on the Trails of History is Kerry Mohn, a graduate of Pennsylvania State University and the former Kutztown State College with 30 years service at PHMC. Kerry has spent the past 15 years overseeing the collections at Ephrata Cloister. He has a special interest in Pennsylvania history and Pennsylvania German studies; other interests include immigration, labor, and baseball history. 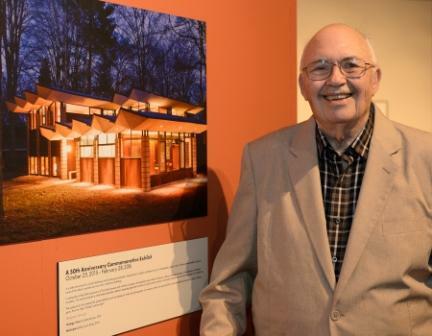 He lives in Berks County and served on the boards of the Historical Society of Berks County and the Governor Mifflin Area Historical Society. 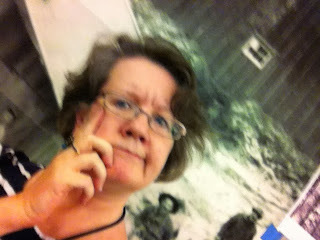 You can tweet questions to Kerry and volunteer coordinator Rebecca Lawrence from 11 am to noon @EphrataCloister. Rounding out our day is John Fielding, curator for the Anthracite Museum Complex, which consists of the Anthracite Heritage Museum, Scranton Iron Furnaces, and Eckley Miners’ Village, since 2004. During his tenure, John has led numerous collections management and collections care projects and has assisted with projects at several other PHMC sites including the Museum of Anthracite Mining, Old Mill Village, PA Lumber Museum, and Washington Crossing Historic Park. He has been the lead worker for eight exhibits at the Anthracite Heritage Museum and Eckley Miners’ Village. His areas of interest are 19th- and 20th-century anthracite mining processes and the cultural significance of the many ethnic groups that came to the anthracite region of Pennsylvania. John will be available for questions from 2 to 3 pm @AnthraciteMuse (I will be attempting to assist with the tweeting, so please be patient). If you're interested in participating but aren't sure what to ask, last Friday's post included some suggestions. So please join us for the conversation!